As a green modular home manufacturer in NC, we do what we can to preserve the beautiful environment that surrounds us. Did you know that your home as a built environment has a big impact on the overall state of the natural environment and economy? Not only that, but it’s important to keep in mind that the buildings in which we live, work and play in affect our state of health just as much as they protect us from the harsh extremes of nature. By adopting strategies such as building green, you are able to maximize both the economic and environmental performance of your NC modular home. This term refers to the “green,” or sustainable building practice that utilizes resource-efficient models of construction, renovation, operation and maintenance as well as demolition. Efficiently using water, energy and other resources. To provide our customers with the best service and most significant benefits, our team takes a comprehensive approach from the beginning stages of your future home’s design. Improves air and water quality. Conservation and restoration of natural resources. Enhances and protects biodiversity and ecosystems. Improves conservation and restoration of natural resources. Contributes to the expansion of markets for green products and services. Minimizes strain on local infrastructure. Enhances occupant comfort and health. For our experience team of modular home manufacturers in NC contact Home Crafters of Western Carolina. It’s not enough to want to be the top builder in America. 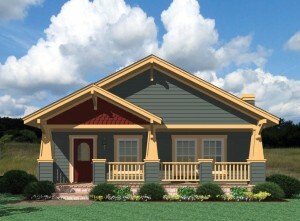 We also want to achieve a status as one of the most environmentally responsible modular home builders in America. For more information about building green solutions, or if you have any other questions pertaining to modular homes NC, give us a call today at (828) 774-9034!